Here’s some groovy FREE STUFF! Yeah, you heard right! We’re just giving away free stuff! Just… y’know… not like BIG stuff or anything. We’ve got a low budget. But we’re so excited to give you free stuff, we HAD TO USE EXTREMELY HUGE TEXT! 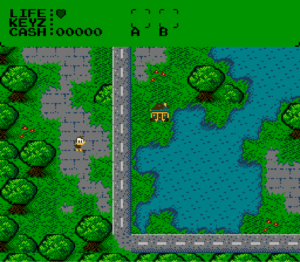 It’s still a work in progress, but it’s totally playable on your favorite NES emulator! And you can download it here for free! 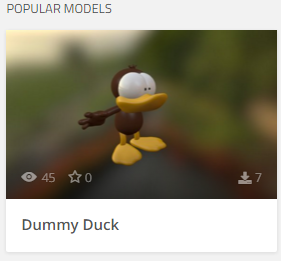 Now you can get your very own FREE 3D model of Dummy from Sketchfab! Do you like to do the pointing and the clicking? Do that, but with a FREE GNARLY Dummy Duck cursor! Do you have Windows 8? Probably not! But guess what, I think this thing works for Windows 10 too, so go ahead and try it! I’ve got a question! Do you want the start menu to look like the one from Windows 7? Get the program Start Menu 8! And while you’re at it, download these RAD start menu buttons! Then you can click on Dummy’s face every time you wanna run a program or some junk! They’ve got clear backgrounds so they fit in with whatever theme or background you’ve got! Oh, and did we mention it’s FREE?!?! Don’t say we never gave you nothin’!